Macy's Backstage is officially open in Houston! Backstage is an affordable brand launched in 2015 that aims to win back young bargain hunters who have been hitting the web for better deals. The store is located inside the Macy's at Pearland and is stocked with goodies. I literally wasn't in the store for more than 10 minutes and spotted the hand bag department. 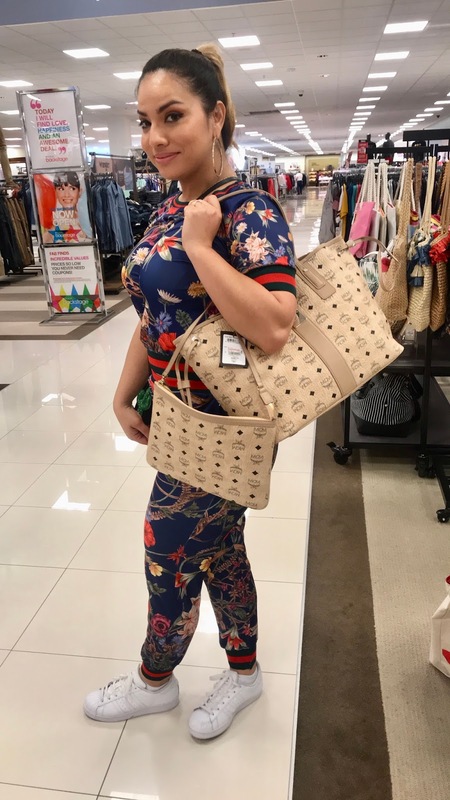 I got a great deal on the MCM branded tote and couldn't resist my urge to shop the hand bag selection. I bought 3 bags!! Macy's Backstage carries home decor and kids shoes which Macy's doesn't carry inside their stores. They also have a nice sized beauty department with a good selection of beauty finds such as hair dryers and straightening tools. Another addition to the goods is the pet department with pet bedding and toys for our special 4 legged friends.